Can physicians use data from wearable devices? Home » Can physicians use data from wearable devices? Wearable medical products have granted users a new awareness of how their everyday activities affect their overall health. They gain visibility into data like their heart rate, muscle activity, body composition and temperature. With individuals tracking all this information relevant to their well-being, it seems clear that these innovative medical products could also be a valuable tool to physicians. However, major obstacles remain for putting the data collected by fitness bands and other wearable devices to use in the clinical setting on a large scale. Making the transfer and utilization of this information practical for medical professionals is a one of the most vital challenges ahead for new product design and development. Makers of medical devices can take one of the next steps for making wearables a common part of diagnosis and treatment by striving to address these current limitations. What's wrong with the information from wearables? "Wearables offer tremendous potential for preventive medicine." 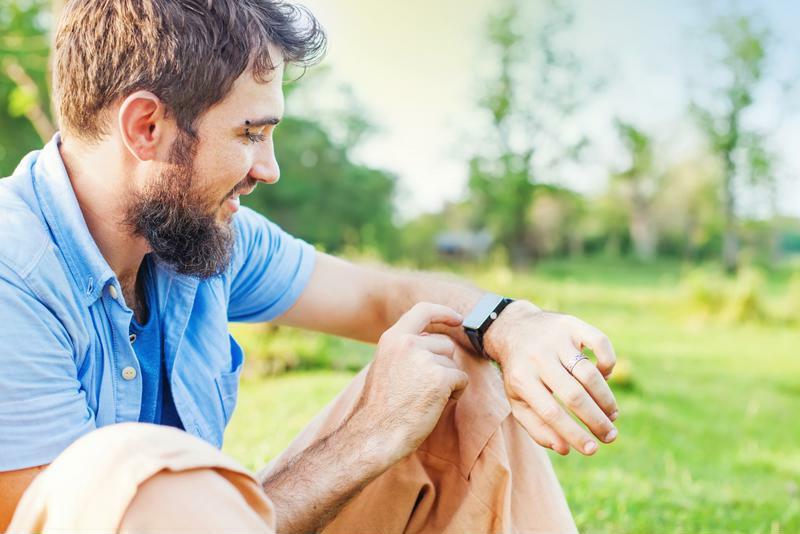 Wearables offer tremendous potential for preventive medicine, allowing individuals to make better dietary choices, maintain more active lifestyles and stay on alert for symptoms of a serious illness. Still, as a report from Medical Economics explained, bringing this information into the clinical setting remains challenging. Physicians use electronic health records to store, track and analyze patient health information, and wearables provide the data they collect in incompatible formats. The sheer amount of raw data created by the medical devices is impractical to scan through. Physicians have limited time, so they are unlikely to devote hours to picking out significant patterns or spotting anomalies in those numbers without the software to render the figures manageable and the results clearly actionable. Making the most of wearables to detect health problems will require medical institutions and manufacturers to move past this difficulty in sharing findings while addressing any concerns about maintaining accuracy and patient privacy. Nonetheless, these problems have not stopped some doctors from finding substantial uses for these medical products in their practices. Patients using their own devices may provide blood pressure or glucose readings that can prove helpful in finding effective means of controlling their chronic illnesses. John Sharp is senior manager of the nonprofit organization Personal Connected Health Alliance, which was established by the Healthcare Information and Management Systems Society to back work on wearables. He told Medical Economics he believes the doctors who have embraced the medical products are anticipating the way of things to come. According to him, the necessary changes in EHRs will take place as institutions move to take advantage of the potential improvements in value-based care. "I'm optimistic this change will occur, and all that technology and workflow and teamwork will make it happen and will lead to improved healthcare," Sharp said. Wearables could become an increasingly common part of managing chronic health conditions. There are signs device makers and medical institutions are starting to take the steps forward that could eventually result in data from wearable medical products becoming a routine aspect of diagnosis and treatment. While EHRs do not currently display information from wearables in a way doctors can easily put to use, software programs are emerging that could make a difference. One approach software developers have pursued is a cloud-based solution to the compatibility issue. Using these applications, patients are able to upload the data from their wearable devices. The program then processes the data before passing it on to the physician through the EHR system. Research is proceeding on how to best bridge the gap between the huge quantity of data registered by wearables and the systems doctors employ every day. Meanwhile, manufacturers continue to explore enhancements to the functionality of medical products that could pay off in their future clinical applications. For instance, American GPS leader Garmin recently partnered with the Ireland-based medical technology maker Medtronic to produce a new series of wearables optimized for clinical applications. The companies plan to bring together Garmin's technology for tracking activity with the Medtronic Care Management Services remote patient monitoring system. Drawing on the data from the wearables, the platform will provide doctors with insights into whether their patients are successfully following chronic care or post-discharge treatment plans. In a press release, Sheri Dodd, vice president and general manager of Medtronic Care Management Services, described the expectations for this partnership. "We are excited to bring this unique integration into our industry-leading services to help enhance the healthcare and post-discharge recovery support care providers can give to their patients, especially those living with chronic conditions," she said. There are great possibilities ahead for improving preventive health, chronic care and adherence to treatment plans with the use of wearables. While there are still challenges for providing accurate information in a useful format, medical device innovation can point the way for expanding clinical applications. Many physicians have not yet incorporated wearable devices into their work, but future developments may lead them to appreciate the availability of quality information about their patients' daily lives, updated in a form they can immediately understand.